The company says its future games are still going as planned, including the 'Warhammer' MMO. Yesterday, a game industry consultant named Kevin Dent posted some concerning news on his Twitter feed. "Apparently, The Game Workshops MMO has been cancelled by THQ," he said adding that, "they cancelled all of their 2014." That's a pretty big reveal if true, but considering the current state of THQ it wouldn't be a huge surprise. They laid off 30 employees last month based on weak sales of the uDraw tablet and stock in the company is lower than it's been since 1995. 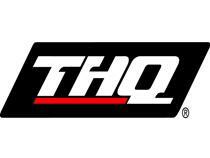 THQ says that the rumors are unfounded though they have made some changes. "As we have previously announced," says a THQ rep, "we have dramatically reduced our commitment to the kids' boxed games sector which leads to a significantly more focused release schedule moving forward." She adds that the company has refocused its efforts and is looking solely towards "high-quality core games." So, unless we find out something more, it seems that THQ's 2014 lineup and the new 'Warhammer' MMO are all safe.